Welcome to Vancouver Orthotics* provided by Dr. Michael Horowitz (DC). We are located in the HYCROFT Medical Building (113-3195 Granville St @ 16th Ave) with Evening & Saturday appointments now available. We offer a wide variety of services including the prescription, fitting and dispensing of custom orthotic inserts and orthopedic shoes. We are here to provide a therapeutic approach to treating foot pain, ankle pain, knee pain, hip pain and lower back pain. 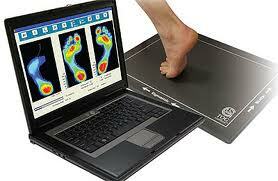 Vancouver Orthotics* is also here to help improve posture, gait, alignment and overall balance. Our goal at Vancouver Orthotics is to provide our patients in Vancouver with an enhanced biomechanical support system that will ultimately lead to better posture and elimination of foot, ankle, knee, hip and back pain. We achieve this goal through specific consultation, examination and if necessary, the fitting, production and dispensing of custom made orthotic inserts. Have questions about Vancouver Orthotics? Ask Dr. Michael Horowitz by calling 604-737-3668 604-737-3668 or by filling out the form below. RELIEF! 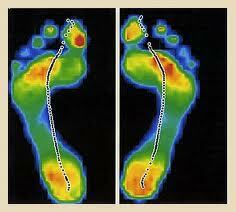 – Vancouver Orthotics can have a positive effect on how your body feels and functions! We expect to see improvements with this form of treatment and we know our patients do too! Have the security of a well trained & dedicated health provider - Dr. Michael Horowitz - evaluate your symptoms and create your custom orthotic inserts tailored for your specific needs. Effectiveness varies from patient to patient. Orthotics may be covered by your extended health insurance. Please contact your provider for the details of those benefits. An MD/podiatry note is not required to visit our office. However, you're extended insurance provider may require it. Before arriving for your appointment, please check with your insurance provider to better understand your specific coverage and what information will be required to submit your claim.